Hello SErs! Harmony here. I hope this finds you all well. 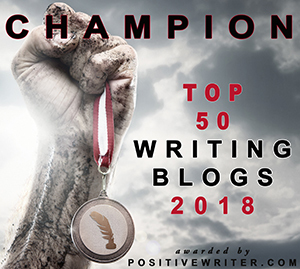 Today, we are embarking upon the first of a four-part post on writing flash fiction; that is, stories of 500 words or less. I will link back to each part in subsequent posts for ease of reference. As most of you will know by now, I am a dyed-in-the-wool pantser and only do the bare minimum of outlining. Having said that, I have found the following method so useful for tightening up my writing and getting in the essential beginning, middle, and end in stories this brief. After reading Mae Clair’s excellent post on Creative Tools (which you can find HERE), I went ahead and bought myself a Storymatic set. Any of you following my blog will have seen some of the short fiction I came up with from the prompts. I have five complete stories and one in progress, as well as flash fiction in progress. So far, the completed stories add up to 20,400 words. All this from four prompt cards. What these give you is a character and a problem or desire and a setting. It is up to you what you do with them from then in. Not being a planner, these prompts suited me down to the ground. More recently, I came across a great formula for writing very short fiction, and that is what I bring to you here. Well, it’s a mix between the story prompt method and the outline method. I hope you find it useful. In the past, I would just start writing, and I might start anywhere. When I have a few-thousand words to play with, that’s fine, but it isn’t so easy when it comes to keeping your count below 500 words. Love, respect, relief from pain, to lose weight, a holiday, have fun, to mean something, money, fancy car, fame, power, prestige, wealthy early retirement, drugs, safety, control, invulnerability, super-powers, survival, to inflict pain, hide behind busyness. Okay, that’s it for this post. Next time, we look at problems and interruptions, where a problem hinders your character getting their desire. And you get to write your story beginning. Have fun! I’m posting some short stuff this month. This is a wonderful idea for a series on SE. Looking forward to the next piece. Harmony Kent shares the first of her flash fiction posts on Story Empire. Find out how she develops very short fiction, something I avoid all too often – looking to learn a few tips and this post works. This is excellent, Harmony. I too am a pantser, but that brings some issues from time to time as far as keeping up with details. But, with flash fiction, there isn’t time enough to get bogged down with heavy details. It’s hitting the main points and moving on to the conclusion. I loved the points you outlined in this post. Very helpful! I write short stories twice a week on my blog. I have confined my efforts to 100% dialog. Without being heretofore too conscious of my method I discovered in your post the elements of flash fiction which set a more formal parameter as a guide. I look forward to your further posts on this subject. It’s been years since I experimented with flash fiction so this was a fascinating post, Harmony. Love how you put it together. And thanks for the shout-out to my post. So glad you’re finding the Storymatic useful! Informative post, Harmony. Also, thanks for the details on flash fiction and the link to Mae’s post. Character goals are essential. Great place to start, Harmony. Looking forward to the rest of the series.